Service department is friendly, timely and competent! Great service today. Just a tire rotation, but all points were checked. registration card & temp plate had 16 digit VIN instead of 7. We are one of the most popular INFINITI dealers in Dacono, CO. We have a great selection of new and used INFINITI vehicles. You can order parts or schedule a service appointment online. Visit our Dacono dealership and test-drive the Q50 Sedan or QX50 Crossover. We also invite you to test-drive the award winning Q60 Coupe. Our Dacono dealership has an impressive inventory of used and certified pre-owned INFINITI vehicles. You will be highly impressed with the vehicles at our dealership. Whether you’re looking for a used sedan, convertible or SUV, we have it on our lot. The selection of our used vehicles will surely impress any buyer. 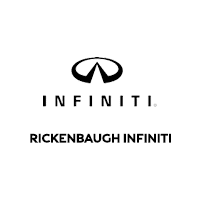 When searching for a reliable INFINITI service center, consider Rickenbaugh INFINITI. Our certified service staff has been handling INFINITI vehicles for years and know them well. We also have a parts store that has quality products for your INFINITI SUV, crossover, coupe or sedan. Check our hours and directions page, if you need any additional help in finding our location. Confused about whether to buy or lease an INFINITI vehicle? Get in touch with our financing department and they will work with you to meet your needs. Just fill in your information in the Payment Calculator and our finance staff will get you the best plan possible. Fill in the Finance Pre-Qualification Form or call us to learn more about vehicle financing!